We're English. A little rain will not stop us having a picnic. 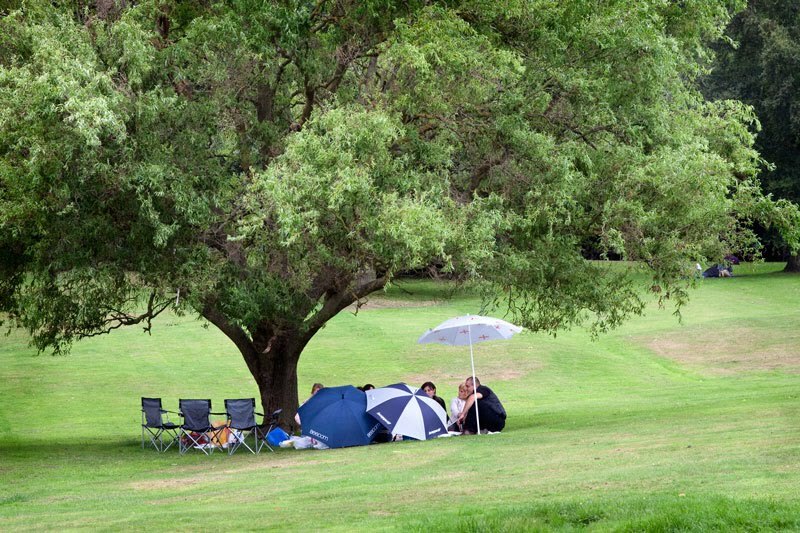 Huge tree, green grass and umbrellas. A perfect place to have a picnic. How very British! Hopefully the crusts were cut off the sandwiches. We stick to our plans, come what may! What a wonderful shot, I love it! We are having a big rain and storm too. 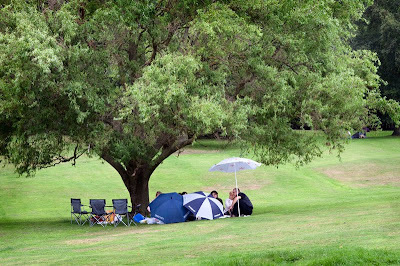 Fantastic British summer photo. If we waited until it was a nice day we might never have a picnic! We're Scottish, a monsoon wouldn't stop us!!! I had fantastic 2 hour long stroll in the pouring rain today and it was so good because there were so few people going around! Back home in Scotland the rain is cold...this stuff in London is like a warm shower in comparison! Rock on! That is a beautiful spot you have pick out there.